Eleven years after 540,000 litres of toxic waste were dumped in Côte d’Ivoire’s economic capital Abidjan, victims are still in the dark about the potential long-term impacts on their health, human rights Amnesty International stated, following the publication of a long-awaited report by the United Nations Environment Programme (UNEP). More than 100,000 people sought medical assistance after a local company hired by the commodities giant Trafigura dumped toxic waste at various sites around Abidjan in August 2006. Reported symptoms included breathing difficulties and burning skin, and to this day people complain of serious health issues they believe are related to the incident, including skin and eye problems. Despite this, the Côte d’Ivoire government has never monitored the victims to check for long-term health effects. UNEP’s report, which was commissioned by the government and follows an environmental audit of 17 sites affected by the dumping, has strongly recommended that the Côte d’Ivoire government carry out a representative health study of affected individuals, and consider the need for long-term health monitoring. “The victims of this disaster have been abandoned to live under a cloud of fear and uncertainty for more than a decade. It’s absolutely unacceptable that, so many years on, they remain in the dark about the potential long-term health impacts,” said Lucy Graham, Researcher on Business and Human Rights at Amnesty International. At the Côte d’Ivoire government’s request, UNEP and the World Health Organization (WHO) will organize a meeting of public health experts in March to analyse the health impacts of the dumping and consider the need for long-term health monitoring for the victims. Amnesty International has called for health monitoring for a number of years and has compiled a list of recommendations on health studies and monitoring for the meeting of public health experts. The organization is calling on the Côte d’Ivoire government to establish a medical study to assess any long-term impacts of the dumping on health, and to implement a plan for long-term health monitoring of affected individuals. Amnesty International is also calling on the Dutch government to provide funding for this work because, six weeks before the waste was dumped in Abidjan, Dutch authorities allowed Trafigura to export the waste from Amsterdam despite knowing it was hazardous and required specialist treatment. Clean-up and treatment work continued at some of the sites affected by the dumping until as late as 2015 and 2016. UNEP’s report, which is the first independent assessment of the success of these operations, found that pollution levels did not exceed national or international standards requiring further clean-up. However, UNEP notes that this does not preclude the possibility that the community is still affected by health impacts from exposure to the toxic waste in 2006. “While these findings will be a relief to those living or working near the dumpsites, they are just the tip of the iceberg. People in Abidjan have waited for ten years to know if these areas are safe – and there is still so much that they do not know,” said Lucy Graham. The multinational oil-trading company Trafigura made the toxic waste on board a ship at sea as part of a crude petroleum refining process. Trafigura coordinated the operations from its UK office. Having tried unsuccessfully to dispose of the waste in Amsterdam and Nigeria, Trafigura eventually hired a local company in Abidjan to dispose of it. The local company ended up dumping the waste across Abidjan, engulfing the city with a foul smell and triggering widespread panic. The dumpsites required extensive clean-up and decontamination. Trafigura has never fully disclosed all the information it holds about the contents of the waste including its potential impacts. In June 2012, the Côte d’Ivoire government asked UNEP to carry out an environmental audit of the sites affected by the dumping. The primary focus of UNEP’s audit was to assess whether the sites affected by the dumping still posed any environmental or public health risks, rather than to connect pollution at the sites to the toxic waste dumping itself. 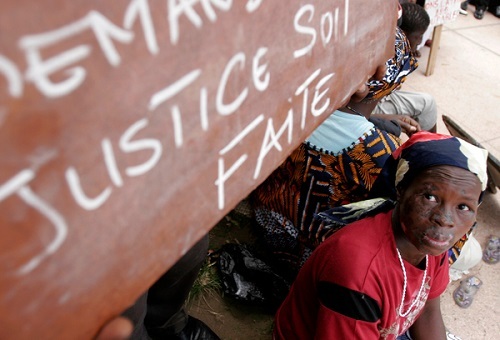 The dumping of the toxic waste amounted to a violation of the right to health of the people of Abidjan. 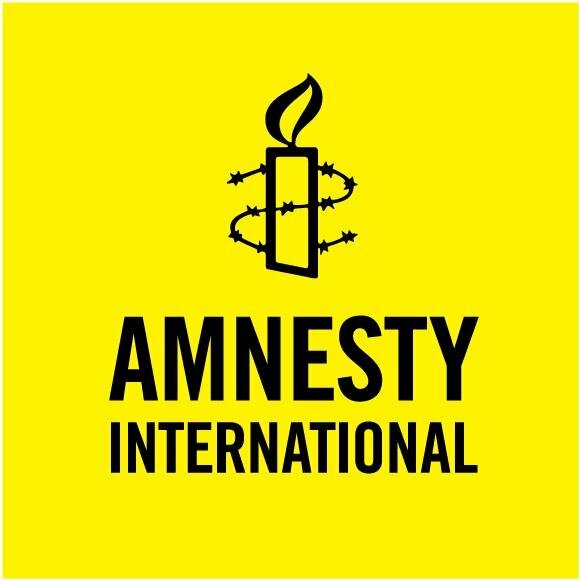 Amnesty International considers that Côte d’Ivoire and The Netherlands are in breach of their obligation to provide an effective remedy to the victims of the dumping for that violation. In particular, despite the Dutch government failing to prevent Trafigura from exporting the waste, it has not engaged with the Côte d’Ivoire government to support health monitoring for example by offering funding or technical assistance. Trafigura denies responsibility for the dumping, maintaining that it believed the local company would dispose of the waste safely and lawfully. It also strongly denies that the dumping could have had any serious or long-term health impacts.